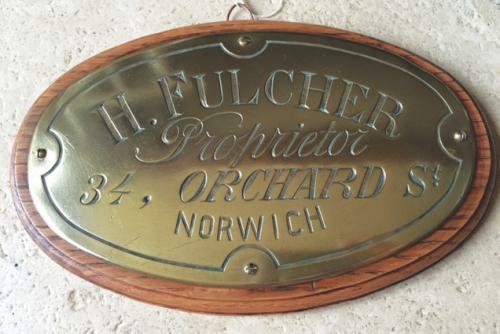 Victorian oval brass Trader's Plaque marked H. Fulcher, proprietor, 34 Orchard Street Norwich. Well engraved. We have mounted it on to an oak mount.